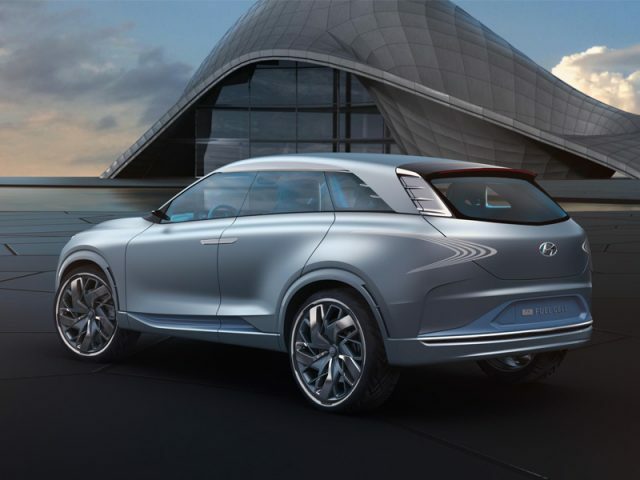 Hyundai has previewed its plans for a hydrogen SUV with a new concept at Geneva. 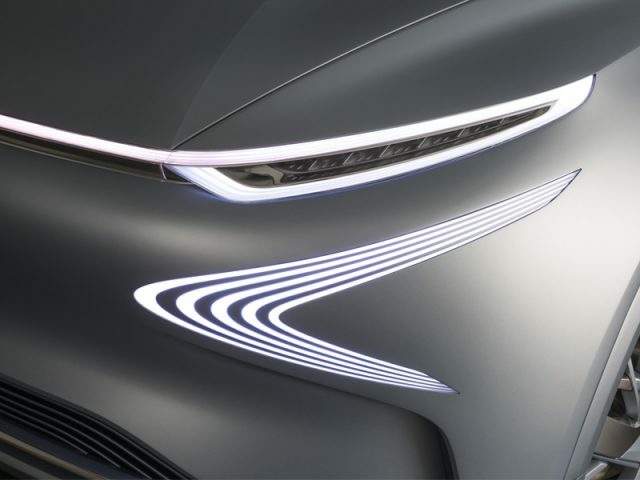 The FE Fuel Cell Concept forms part of the company’s plans to launch 14 or more new eco models by 2020 – ‘FE’ stands for Future Eco – and will be used to influence an SUV Fuel Cell model set for launch in 2018, which will feature ‘Hyundai Smart Sense’ driver assistance technologies, alongside an extensive hydrogen-powered range. 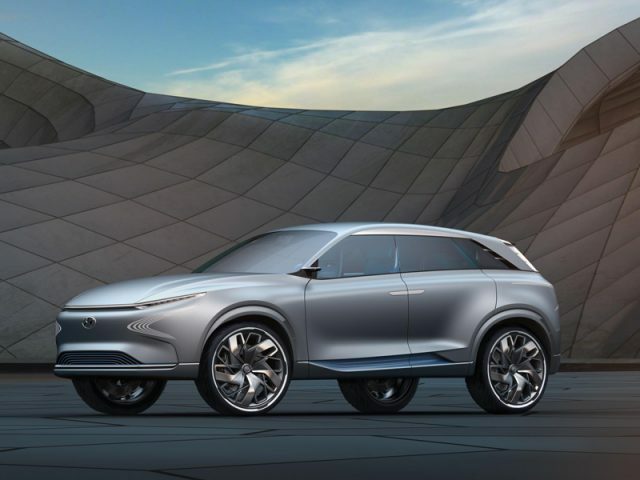 The concept showcases the fourth generation of the brand’s hydrogen fuel cell technology, which is 20% lighter with 10% greater efficiency than the current generation system used in the Tucson ix35 Fuel Cell. In addition, the power density of the fuel cell stack is increased by 30% – as a result the car is designed to run for more than 800km (497 miles) between refuelling. The concept features removable battery packs – charged by the car’s energy output – to charge passenger devices and also brings charging space for an electric scooter in the boot. It also brings an internal air humidifier to recycle water emitted by the hydrogen energy circulation around the cabin.